2. Avoid hills with excessively slippery or loose surfaces. 3. Shift your weight uphill. 4. Avoid crossing the sides of steep hills. 5. Keep your feet on the footrests. 6. Steer slightly into the hill. (if possible) or dismount on the uphill side immediately! 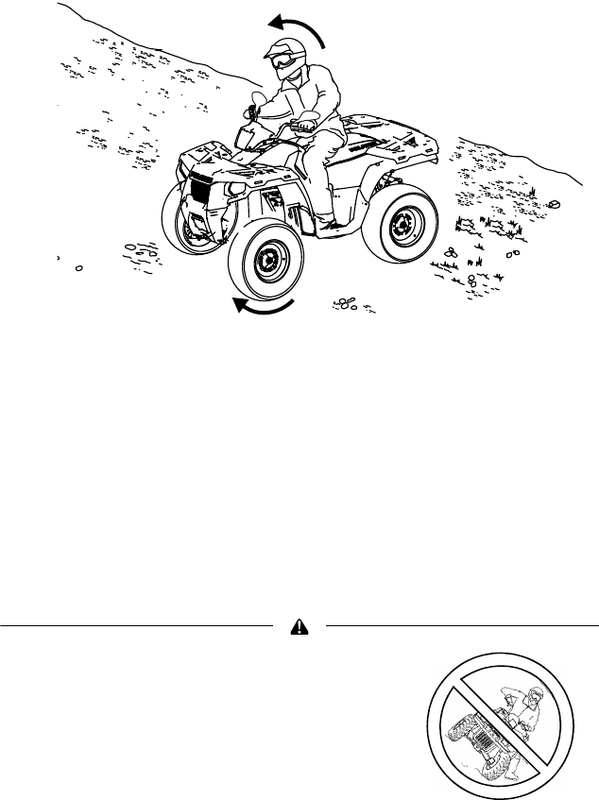 manual for crossing the side of a hill.